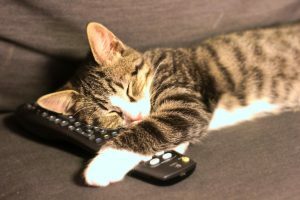 I wrote about this the other day, but after the major US networks did their upfronts this week, there’s even more to see on the reboot, remake, and revival scene. Let’s start with the re-something of the book, then movie Time After Time. I’ve got quite a lot of time for Kevin Wliiliamson, and I seem to remember liking the Nicholas Meyer film that this is spawned from, but I don’t know where it’s going to go after the pilot. Maybe that’s a good thing. I didn’t even know that the MacGyver reboot had moved into a pilot phase, let alone a full season commission. I actually quite like the look of this, and the new MacGyver seems like a good bit of casting. So long as it doesn’t fall into the trap of parodying the original material, I will give this one a chance for sure. Fox previewed their Exorcist reimagining. And on the CW (whatever that is), there’s a series based on the movie Frequency. And there’s the return of Prison Break on Fox. As well as series based on Lethal Weapon. That’s not to say there aren’t plenty of shows based on original concepts, though about half of them are time travel pieces, which is no bad thing. So, what would you reboot, retool, or revive? What’s that? You want to read a new book that I’ve written? Well, you’re in luck, because Normalverse is out now, and it’s more than likely FREE from your chosen eBook provider. You’ll notice that it’s part one of a trilogy, so you might be pleased to know that part two is already available, and that part three will be out some time in March. “Don’t read this in a public place, you won’t be able to stop yourself laughing out loud. It reminds me of Douglas Adams, the careful plotting mixed with those absurdities and jokes that sneak up and make you snort tea through your nose. Hilarious.” Goodreads. What if you really were the centre of the universe? Norman Mi’s house is shrinking. He’s sure of it. But that’s the least of his problems, even if he doesn’t realise it yet. There’s also the odd time dilation effects at the office, the invisible spiders that no one else can see, and the eccentric neighbours who insist on eating his bacon sandwiches. In spite of all of this, Norman is a completely average man; a man so bland he would disappear in the middle of Ikea. The trouble is, Norman doesn’t want to be an average man, he wants to be unique, he wants to be somebody, and he wants to amount to something. And he’s about to get exactly what he wants; whether it’s good for him or not. 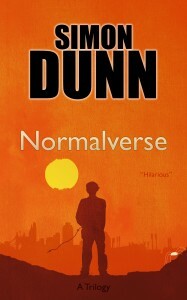 Normalverse is the first part of a trilogy about normality and pan-galactic rent disputes. So, add it to your collection now, because it’s FREE.